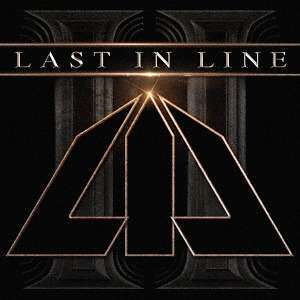 Der Artikel Last In Line: II (Deluxe-Edition (SHM-CD + DVD) wurde in den Warenkorb gelegt. Ihr Warenkorb enthält nun 1 Artikel im Wert von EUR 38,99. What started as a casual reunion jam in a Los Angeles rehearsal room in 2011 has grown into a fully-fledged band that has taken on a life of its own. Last In Line, the band, takes its name from the second Dio album released in 1984. Vinny Appice and Vivian Campbell were Ronnie Dio's co-conspirators and co-writers on the »Holy Diver«, »Last In Line« and »Sacred Heart« albums: these records have gone on to become part of rock history. During that first jam it was apparent that the chemistry of the original band was very much intact, even after a 27 year hiatus. The excitement generated by that rediscovery led to a second session, where this time they called in acclaimed vocalist Andrew Freeman. Hearing Andrew's interpretations of the original Dio songs was a revelation and the inspiration to move forward as a band. In late 2017 the band gathered again in LA to start the recording of the second album again under the direction of producer Jeff Pilson (Foreigner, Dokken, Starship, Warrant). The songwriting is now more mature and personal and the band's sound is now immediately recognizable thanks to the unmistakable Vinny Appice's rhythms, the thunderous bass from Phil Soussan (ex-Ozzy) and the amazing vocals from Freeman combined with the roaring guitars from Campbell. This album is going to be on many people's best of lists in 2019!